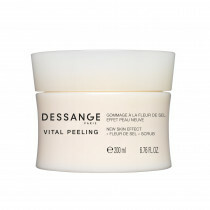 DESSANGE, a luxury brand dedicated to women's beauty, is characterized by femininity, elegance and seduction. DESSANGE provides for the stars of the silver screen at prestigious events and pampers thousands of other women each day in its salons, institutes and spas, bringing a global dimension to their beauty. The expertise of our salons, institutes and spas extends to the skincare range (cleansers, exfoliants, facial and body skin care products, etc. ), bringing each a unique sensory experience and providing professional results.